• Partake in promotional activities such as preparing leaflets, product advertisements, brochures, events management and etc. • Able to identify and sources of appropriate advertising prospects. • Plan, budget and execute indoor &amp; outdoor promotions. • Assist the Branch Sales Manager &amp; Branch Principle in marketing and retailing of vehicles. • Responsible and accountable on the arrangement of the branch sales activities such as Road Shows, Branch Open Day, Marketing of Events and Promotions. • Able to provide general support or other assigned related duties by Superior from time to time. • Possess a minimum Diploma/Degree in Business studies/ Administration/ Management, Marketing or equivalent. • At least 3 years of working experience in the related field. • Excellent verbal and written communication skills in Bahasa Malaysia and English. • Must have excellent Interpersonal and analytical skills. • Networking skills with stakeholders. • Possess valid driving license (D). • We are looking for a range of candidate from various levels, from Executive ~ Assistant Manager, for multiple locations across the nation. 20 headcounts available. 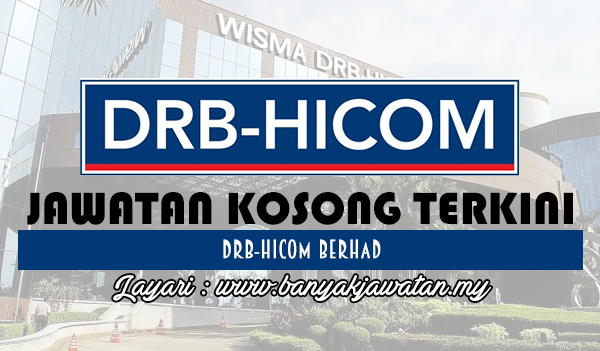 0 Response to "Jawatan Kosong di DRB-HICOM Berhad - 15 Ogos 2018"